Saanich police herded dozens of chickens during traffic control on southern Vancouver Island this morning and are now seeking the fugitives' owner. 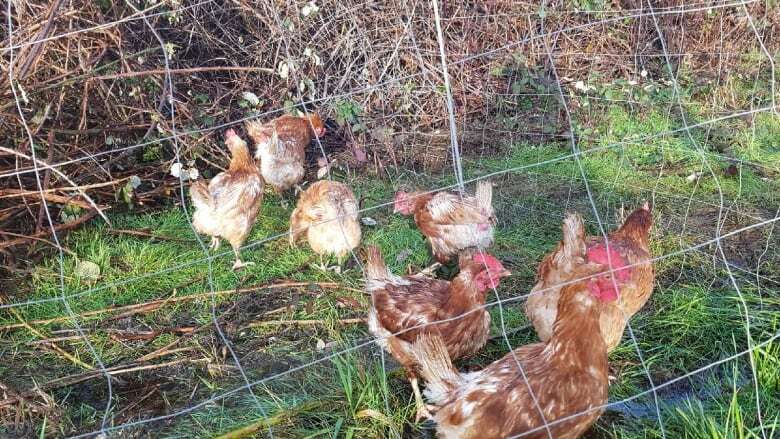 Central Saanich police were tasked with poultry control Thursday morning as dozens of chickens ran loose in the community on southern Vancouver Island in B.C. Bylaw and emergency services fielded multiple calls while posts on social media clucked about 150 odd chickens loose in several locations on the Saanich Peninsula — at Wallace Drive, Central Saanich Road and Wain Park. 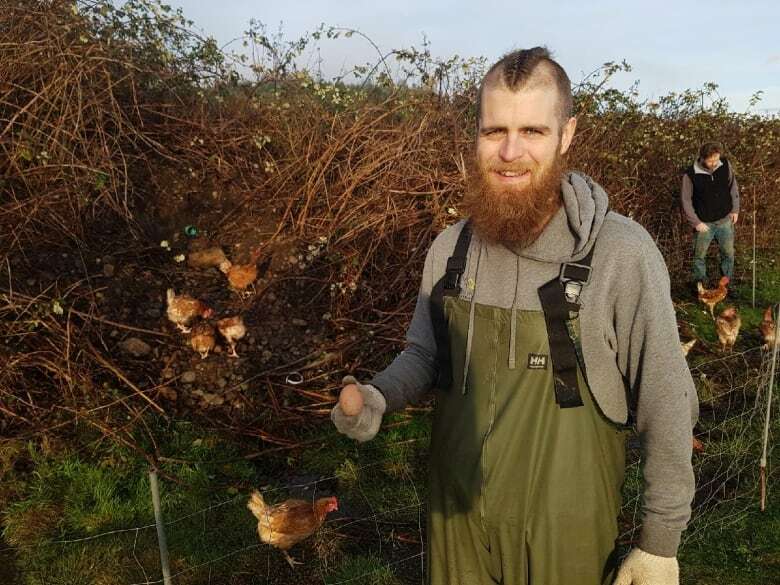 Ryan Vantreight from Longview Farms, who posted the scene on social media, said the chickens arrived bright and early — as one might expect of the birds. "We came to the farm around 7:30 and police were already directing traffic, trying to keep everybody safe," he said. Eventually, the flock was rounded up on a pickleball court. They have since been moved to a Capital Regional District facility on a private farm. If they are not claimed, the chickens may stay at that farm. The Capital Regional District's chief bylaw officer Don Brown told CBC that he hasn't received any reports of missing chickens, and they have no identification to help locate the owner. Police aren't sure whether the birds were released around the community as a prank or if someone dumped them to get rid of them. "We don't have anything linking it at this point," said Const. Anne Piper with the Central Saanich Police. "They're old layers, they're in their molting stage," Vantreight said. "They're past their prime." That said, at least six eggs had been laid by the chickens while they were loose. In Piper's 10 years as a police officer, she's responded to horses running on the highway, and goats and bulls on the loose, but this is the first time she's been at a scene were eggs were being laid. "Worst case-scenario, someone's decided to drop them off because they didn't want to dispatch them themselves. Best case scenario, it's a prank that somebody's pulled. Either way it's not good for the community to have to deal with," Vantreight said.